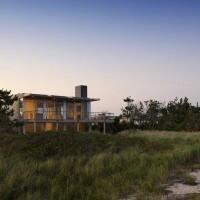 Stelle Lomont Rouhani Architects have completed a seaside residence in Southampton, New York. 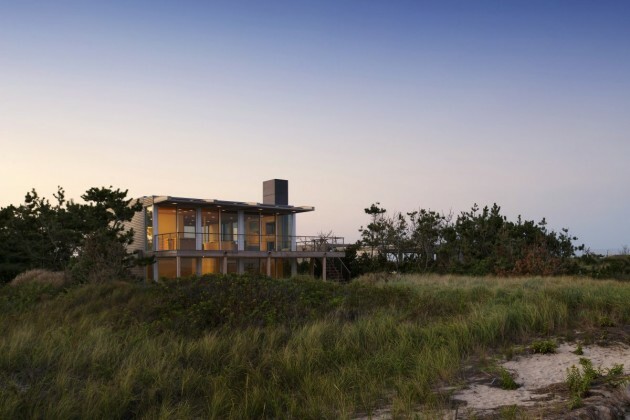 An existing non-descript structure, perched above the crest of the dune between the ocean and bay, was thoroughly transformed. 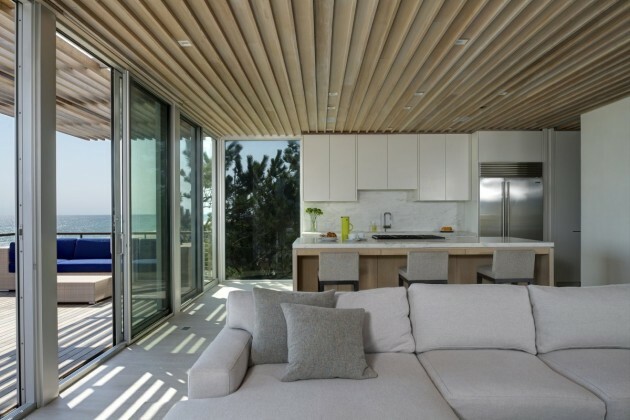 We utilized clearly defined volumes, simple, durable, yet elegant materials and details instilling a strong connection between the indoors and out. 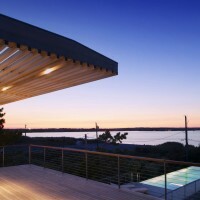 An infinity edge pool was placed between the house and bay, bridging the two bodies of water and screening the street. 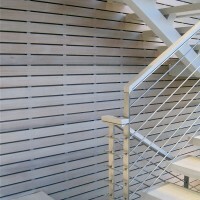 The public spaces were located on the upper floor, extending out onto a series of decks. 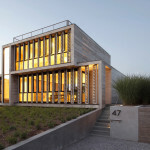 A wooden cantilevered trellis extends through the house from ocean to bay. The lower floor is separated into guest and owner spaces. 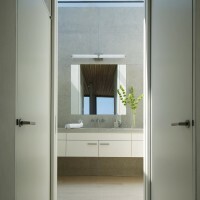 The master bath extends out onto a private, louvered deck, allowing ocean and bay breezes while maintaining privacy. Highly efficient mechanical and lighting systems, an extensive insulation package, high performance glass and sun shading reduce the structure’s overall footprint. 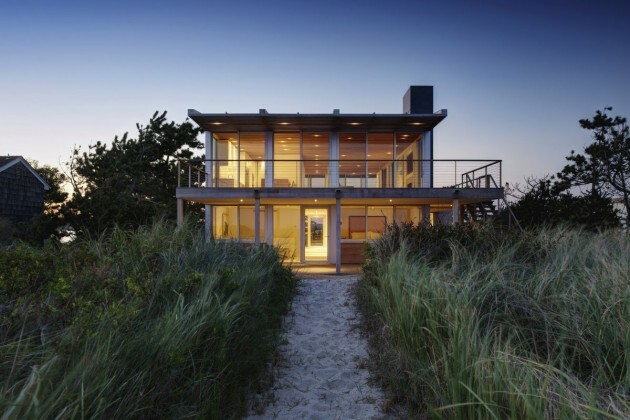 Assemblies, materials and finishes were chosen for their simplicity, sustainability, and low maintenance, coexisting with the sea, sand and vegetation of the site. 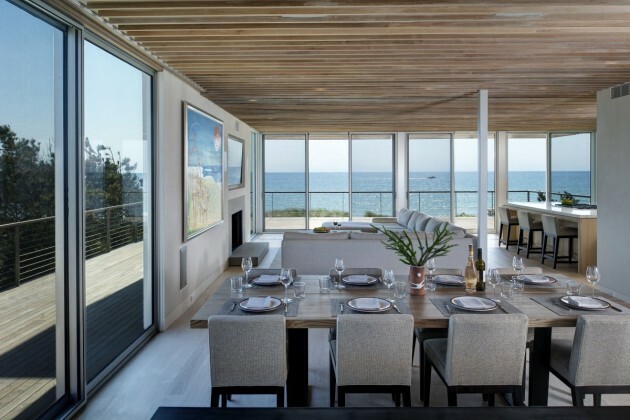 They include aluminum doors and windows, weathered cedar rain screen siding, matte plaster interior walls and plain sawn oak floors.